Following on last week’s post inspired partly by Dr Barry Devlin’s article on the role of data (facts) vs intuition (emotion) in decision making. The term has been coined to describe decision making that is guided by analytics. Wikipedia defines data-driven to mean that progress in an activity is compelled by data, rather than by intuition or personal experience. It is often labeled as business jargon for what scientists call evidence-based decision making. One of the benefits ascribed to big data analytics is that it should help to drive data-driven decisions. As Barry points out – more advantage should be taken of the data that exists within our organisations. Yet, at an executive level information overload means that intuition (and experience) remain critical elements of the decision making process. Does this mean that big data, and other analytics approaches, cannot assist with decision making? Of course not? However, in order to deliver value data analytics must be both timely and relevant. In many cases, inferences are delivered to late, or are based on faulty or poor quality source data that makes the recommendation. All of the above, however, is based, in my opinion, on a faulty premise. Data-driven should not be limited to just decision making. Data is the foundation of our operations, it is the model of our business. 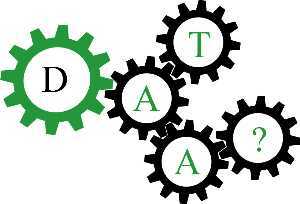 The gears of any business process grind to a halt when data does not support it. Any business that does not believe that it is driven by data should try removing it from their systems. The case for being data driven should extend far beyond the use of data for decision making to the recognition that data must be treated with diligence and care given to any other business critical element. Is it time to redefine data-driven to mean a business that recognises that good quality data is essential to its survival and treats it accordingly? Haz you too much data? ← Haz you too much data?